The pants are in! | Becoming Star-Lord. I came back from a trip this weekend to find *drum-roll* the pants. I mean, they’re not bad, just a little different. To start, they’re a little more lightweight that I thought they would be. When I think of motorcycle pants, I think of heavy material, with a little faux (or real) leather. These remind me of the snow-pants I wore sledding when I was a kid. Without too much padding. Star-Lord seem like the type of person to wear rough, distressed, leather and tough canvas pants. The type of pants that can take a beating and keep on going. 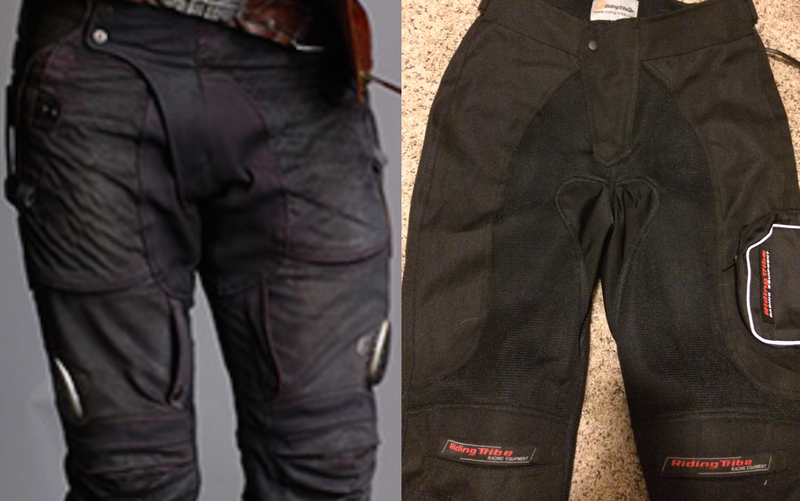 The type of pants that Peter Quill had worn for years and years…maybe without washing. These pants are not those pants. These pants might be able to take a beating, but not many more than one. That’s not to say that they aren’t cool looking, They are cool. Darn cool. Just not quite what I had imagined. Anyway, now that I’ve conveyed my first impressions, let’s take a look at some of the details. First, the obvious. There are some logos and patches that need to be removed. 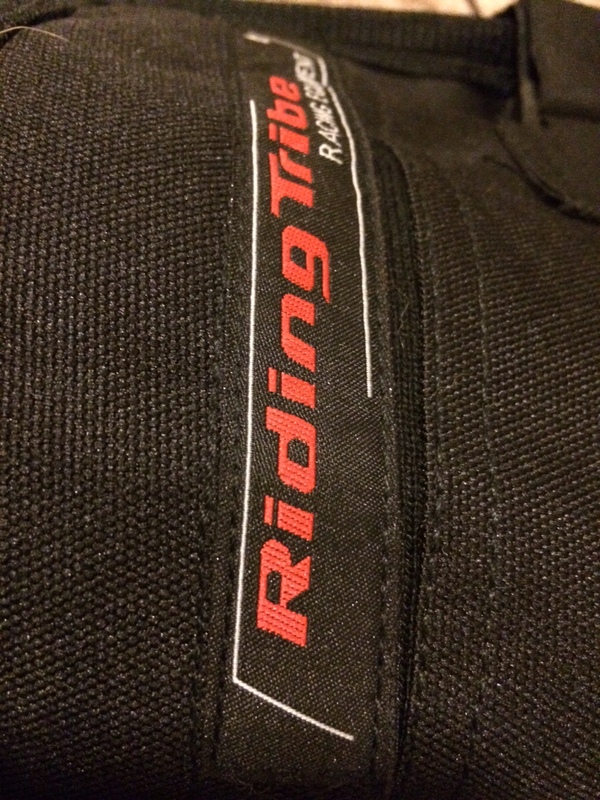 Star-Lord was not advertising “Riding Tribe” in the film. Luckily, everything looks to be sewn on so that, with a care, I can remove the unneeded patches. 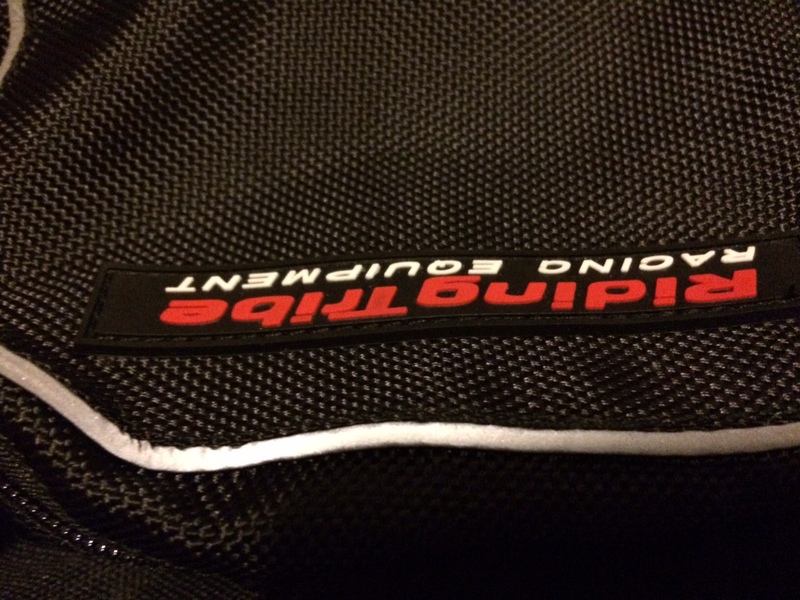 Notice the stitching which should be easy to remove. 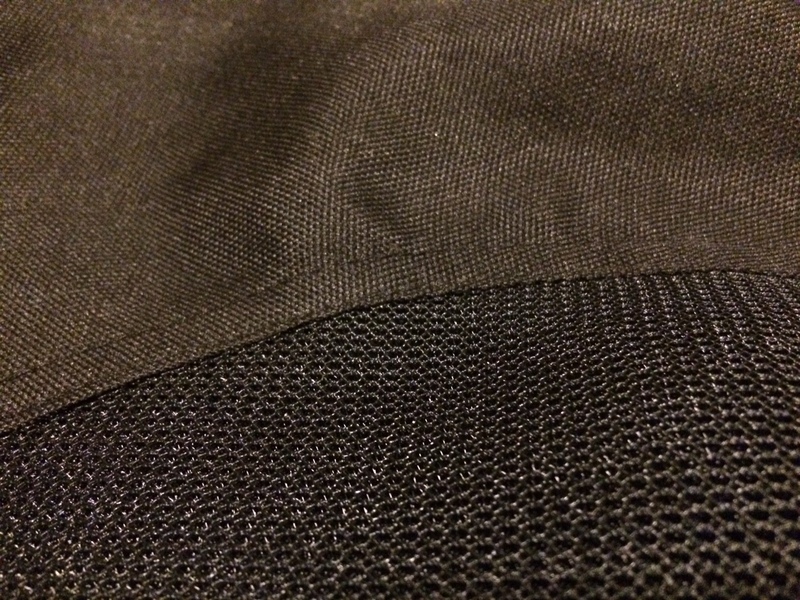 The stitching is harder to see on these, but is there. This logo should come off easily as well. It is mesh in some parts. This is great because it somewhat mimics the multiple fabrics of Peter Quill’s trousers. Star-Lord on the left. My pants on the right. As you can see, they’re not at all an exact match. However, they are a good baseline. As I said in a previous post, Star-Lord’s pants are custom so short of hiring someone to make me exact replicas – or miraculously developing some serious sewing skills – I was always going to have to make due with “close.” And these pants are close. They just need a little work. First, I’ll have to remove the logos and pocket. After that, well, we’ll see if there’s any way to modify them further. Thoughts, suggestions or comments? Leave them below…especially if you will make me a custom pair of Star-Lord pants in exchange for advertising to my four readers! This entry was posted in Pants and tagged CASA, charity, Children, cosplay, costume, foster care, fundraising, guardians of the galaxy, Kids, Marvel, non-profit, pants, props, Star-Lord, Starlord, Superhero on June 16, 2015 by Liam. get in a motorcycle crash for that classic, distressed look! alternately, tie the pants to your trailer ball hitch on the back of the mazda and drag them down riverside a few miles. just be careful nobody steals them when you’re waiting at a light. I’m gonna say when you’re running in them, in September,,plus leather jacket, you’re gonna be grateful for any added lightness. Frankly I would sew in ventilation! Very good point. Ventilation is probably a must. Maybe a little “serious” distressing (as in holes in the knees, etc) is in order. Make them look authentic and add in some air flow!